Triangular urban design turns a corner into usable space and brings a clean, modern look to any desktop. 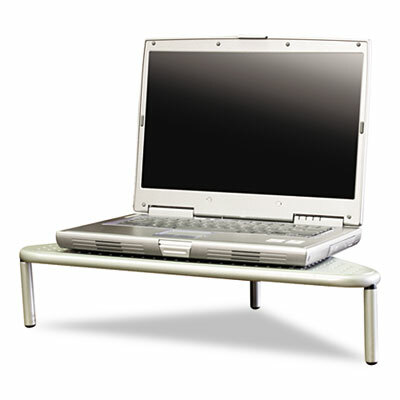 Raises monitor to ergonomic height, helping to reduce strain on neck and back. Stows keyboard, games or files underneath when not in use. Heavy-duty construction supports up to 40 lbs. Enamel coated surface lends durability and style and enhances workplace environments.